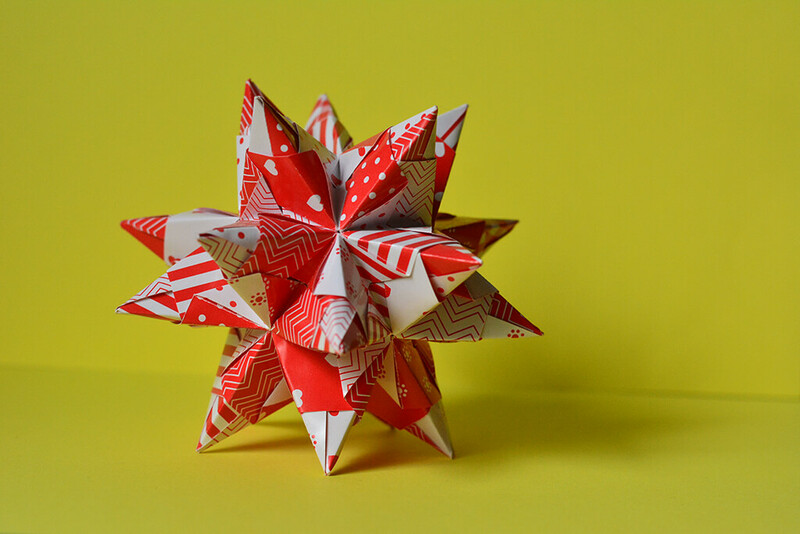 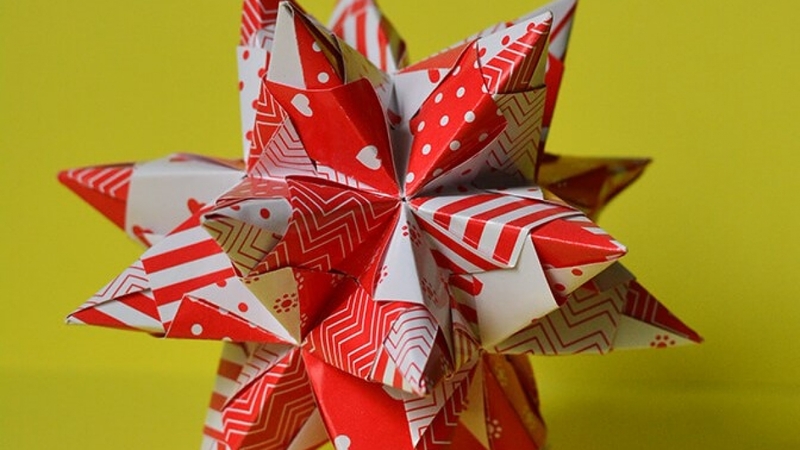 Learn how to make an origami Bascetta Star Kusudama. 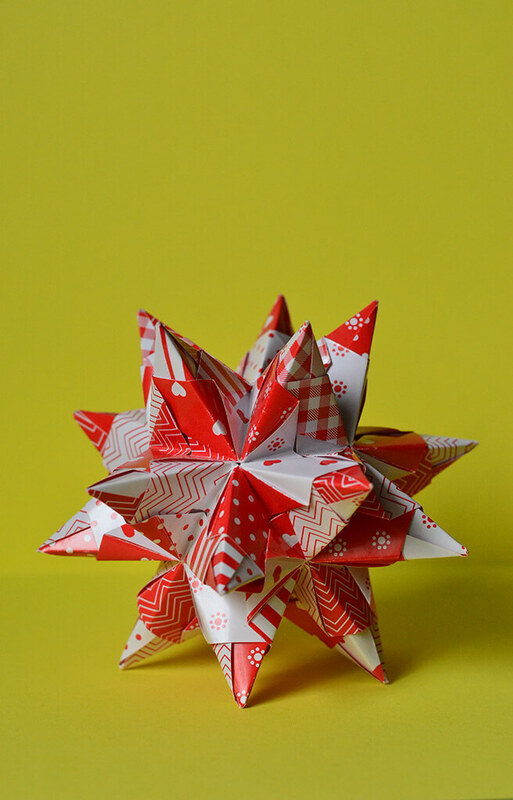 Is a great origami decoration all year round and it looks amazing on a Christmas Tree. 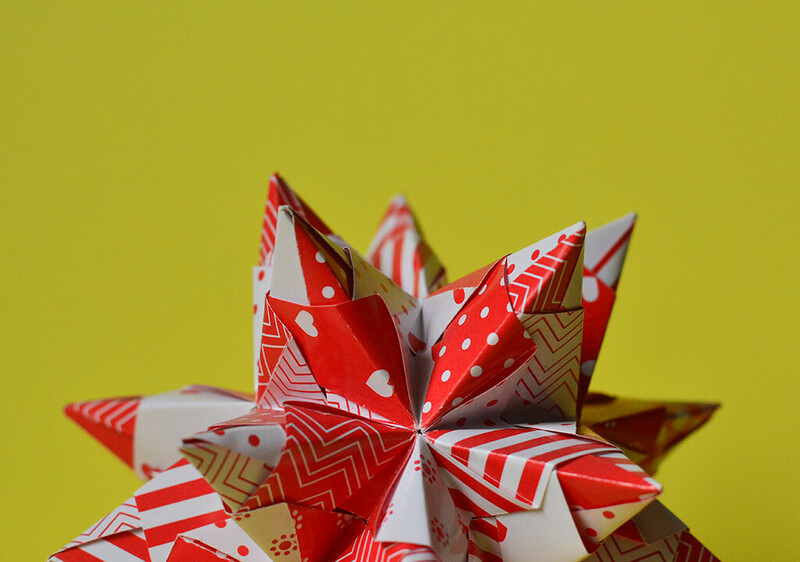 To make this kusudama I used 30 sheets of square paper but other types of assembly are also possible. 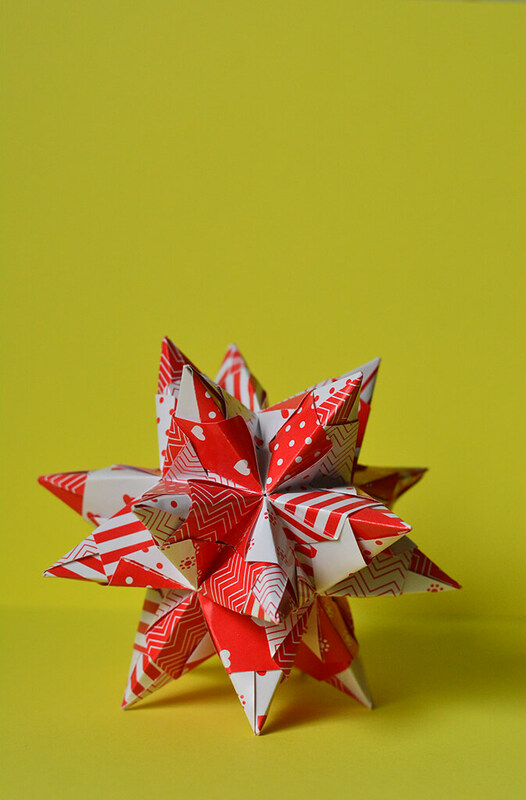 This modular origami star decoration is really easy to make and you can choose as many colors or patterns you like for the units. 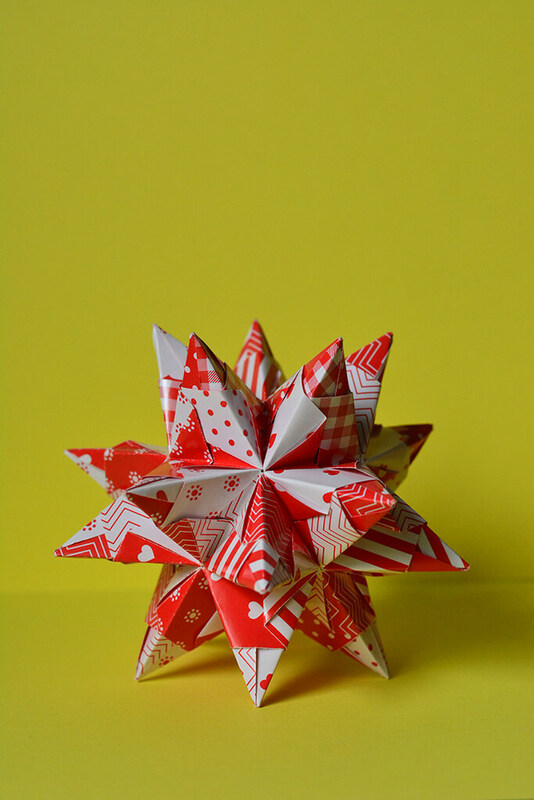 The assembling is easy as well, as you don’t need glue to attach the modules together.